Summer of 2016 passed by so quickly. I hope you all had a fantastic summer. 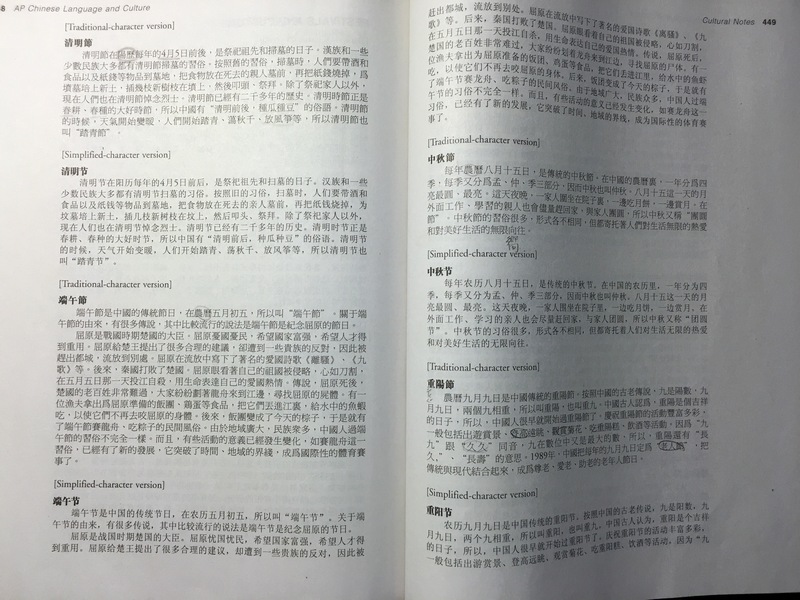 Below are some of what my dds did for their Chinese enrichment during the summer. “Charlotte” is 13 now. 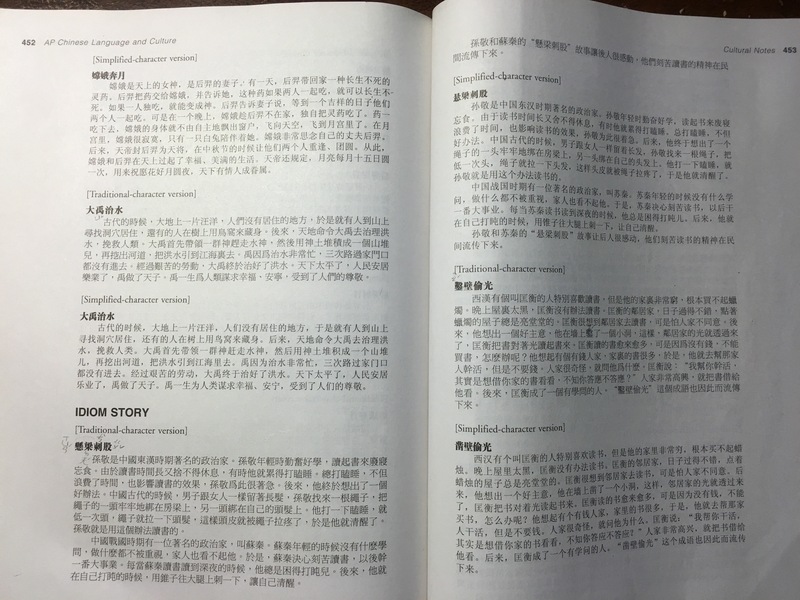 She studied Chinese, mostly with her tutor, about 2-3 hours a day, 5 days a week, for ~ 5 weeks. 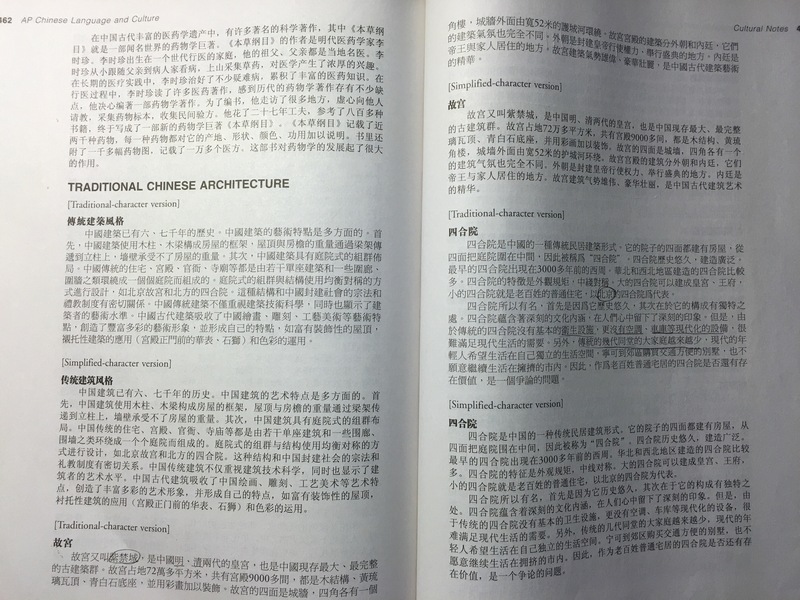 They used Baron’s AP Chinese Language and Culture to get a feel for the Chinese AP exam. 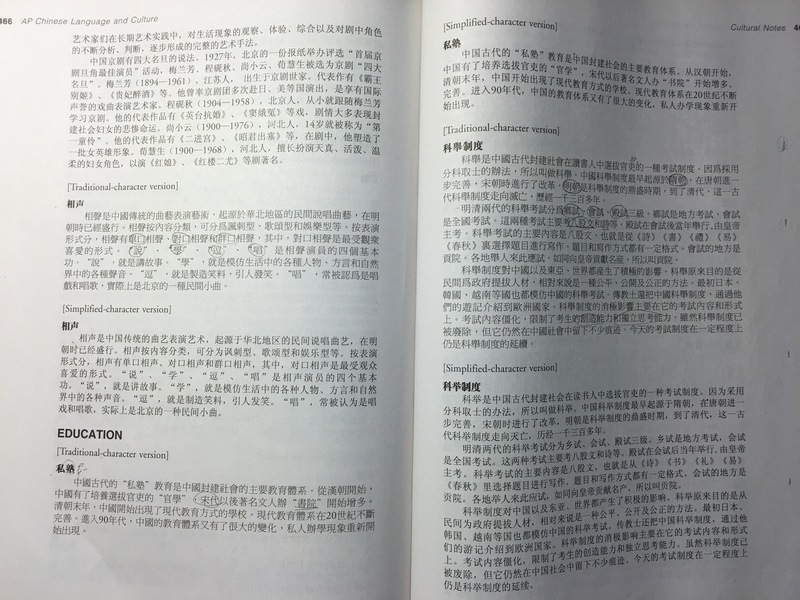 They went over much of the cultural notes in the book, some of which are shown below. In terms of writing, there are two tasks in the Writing section of the AP exam. The first one is story narration. 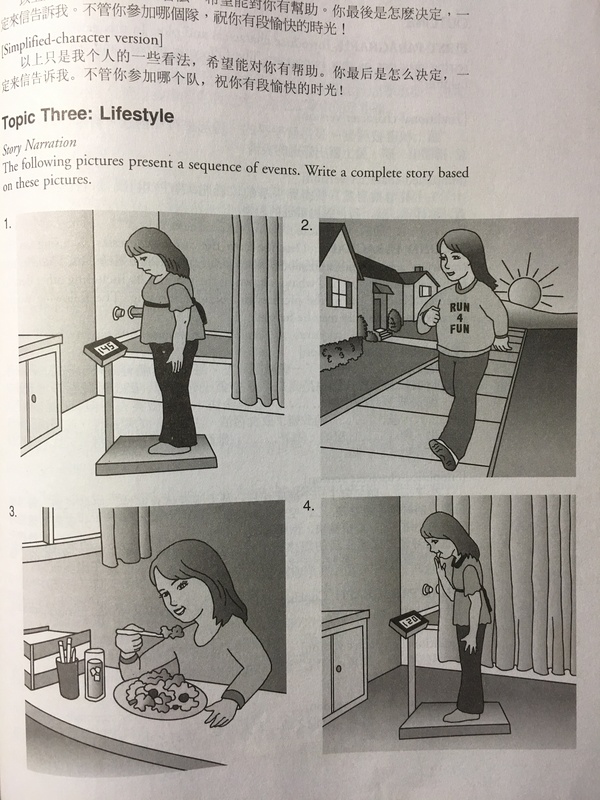 Students have 15 minutes to write a story according to a four picture sets of prompts. The second one is email response to an email inquiry from a friend. The time allotted is also 15 minutes. Below is one such exam of the story narration. 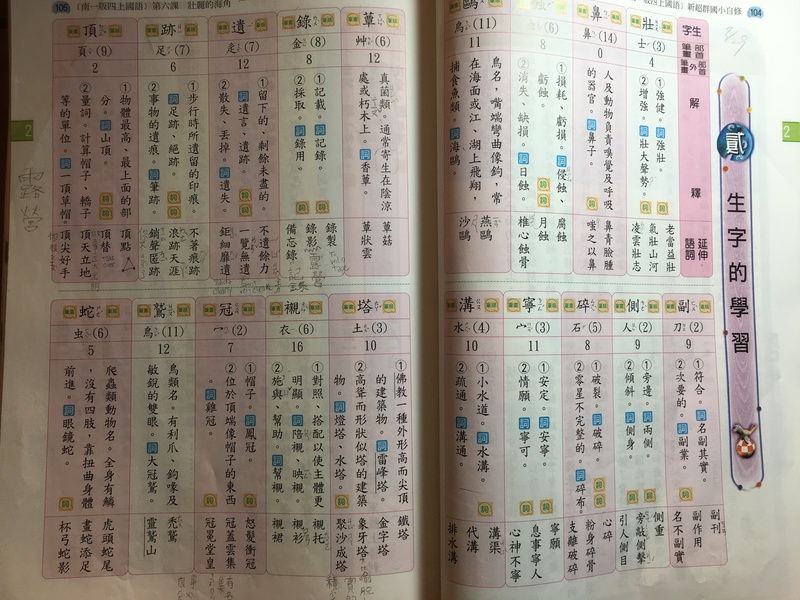 In terms of reading, she finished reading 金庸’s 神雕俠侶 (The Return of the Condor Heroes). I think I asked her to read 50-70 pages a day. She also created questions sets for a few Magic Tree House books. Summer really went by fast. Charlotte just started 8th grade and is immediately bombarded with projects. I don’t expect home work assignments to lighten up for her. 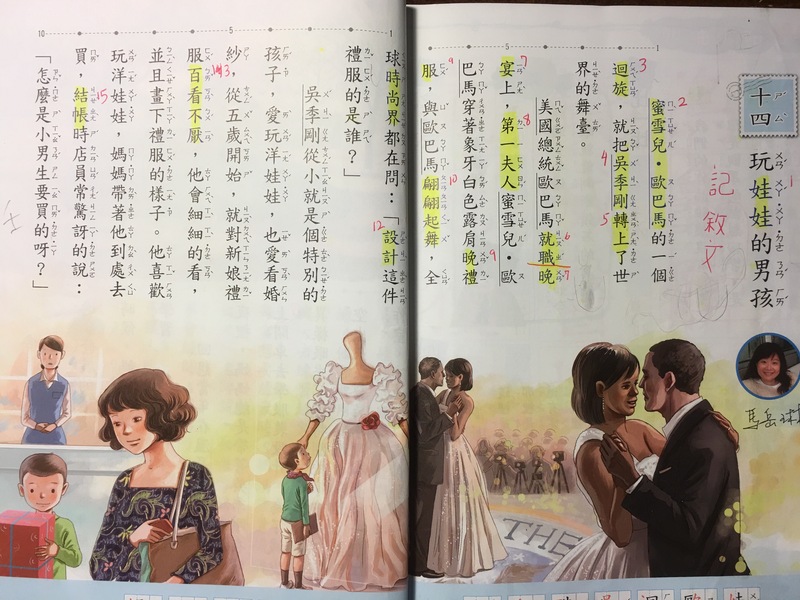 It looks like she will have little time for Chinese during the school year. Oh, she loves to write stories (in English really these days). So, over the summer, I asked her to keep working on the Cinderella like Chinese story she previously started. I guess she had a writer’s block and instead started working on another story instead. Here is how it starts, with very limited corrections from me. I need to email this to her tutor really. My Chinese writing is grade school level, LOL. 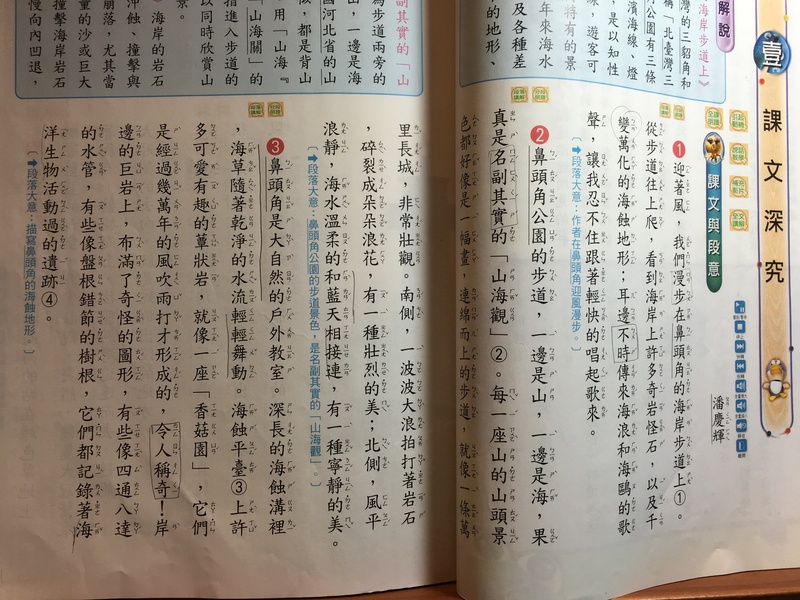 She says she doesn’t like to write in Chinese any more. It looks like English has almost completely taken over…. 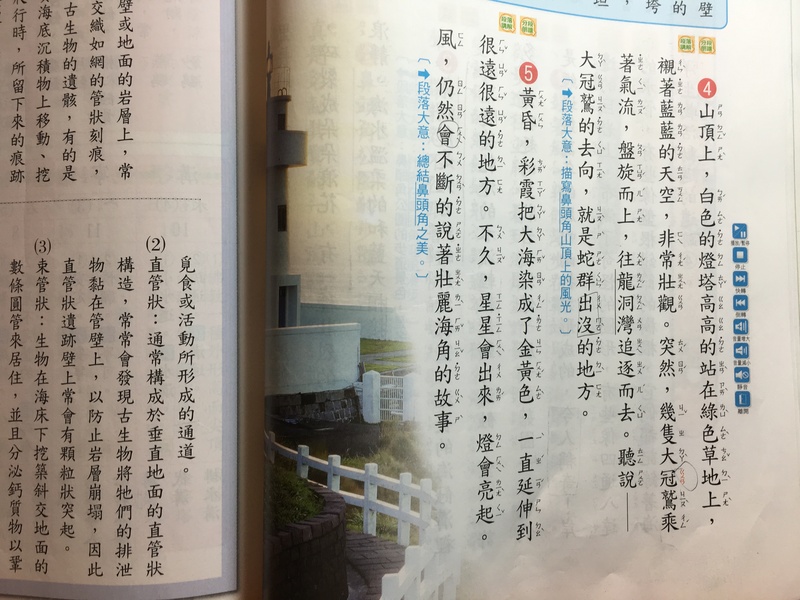 As for 10 year old “Georgia”, she attended a month of 4th grade public school in Taiwan in June. 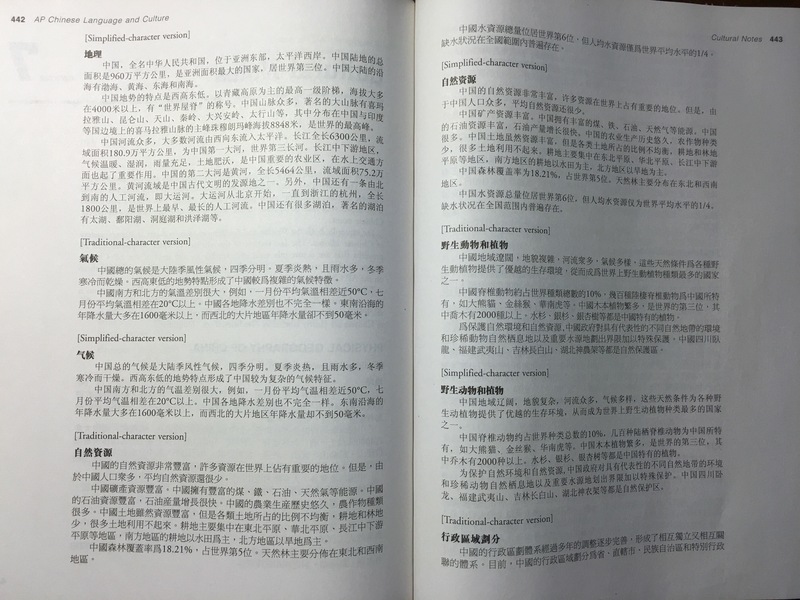 Here is one chapter of the Chinese Language Art textbook that she had to study for the final exam. Due to the short term nature of her study, she couldn’t learn all that were covered in the second semester. She got a 50ish grade on the CLA final exam, she said. Good job, I told her. She probably is at least end of third grade level in Taiwan now. Not bad at all for a heritage kid at 10 years of age. 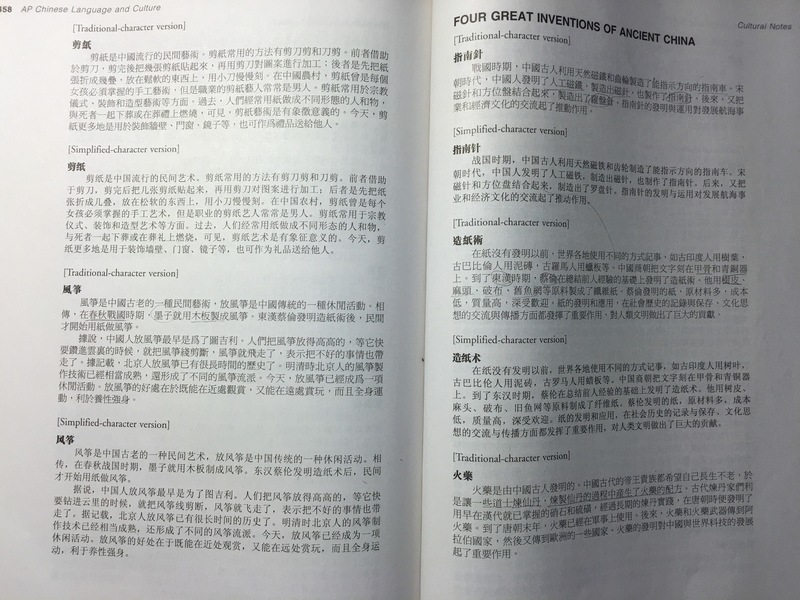 As I previously suggested, to achieve decent level of the Chinese language for children, the pace of study should be ~ end of second grade level (Taiwan standard, probably ~ middle of second grade in mainland China) by end of third grade in the US, and then advancing by one grade level every two years in the US. At that pace, the student should reach about end of fifth grade level by the end of middle school. We worked on Georgia’s English upon her return from Taiwan (with breaks and road trips in between). 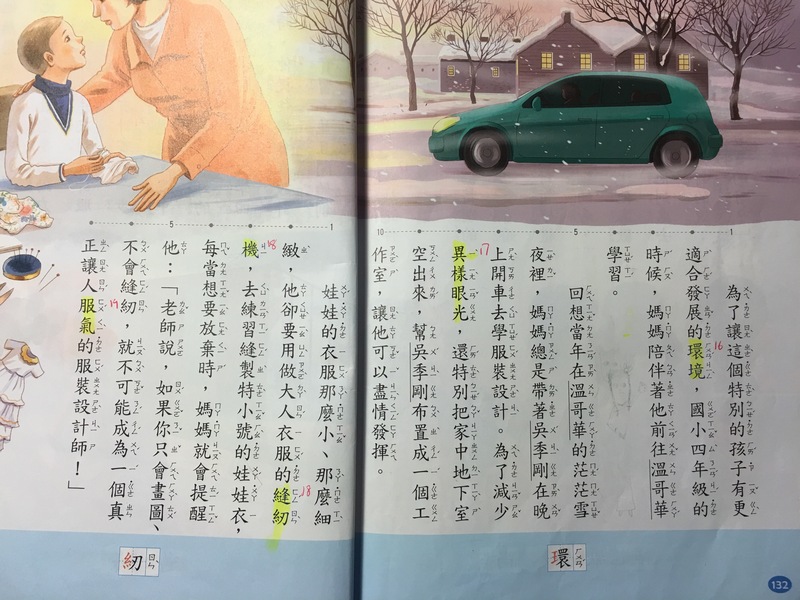 As I previously mentioned, due to the amount of time she spent on Chinese her entire life so far and that she skipped a grade upon returning to private school after homeschooling, she is behind in her English. This has certainly impeded her on the more language intensive part of her schooling. So, she is still trying to catch up. The price of a strong dose of CLE, I say. If it is still too tough after another year or two, we don’t rule out holding her back to her original grade level. 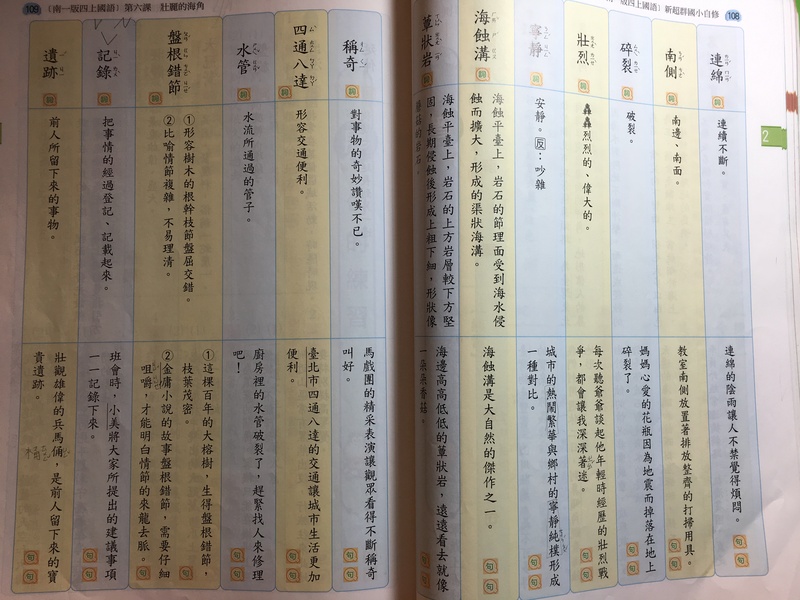 Now that school has started, Georgia is back to reading Chinese novels from the 世界少年文學精選. She is reading A Midsummer Night’s Dream, since she previously read an abridged children’s book version. 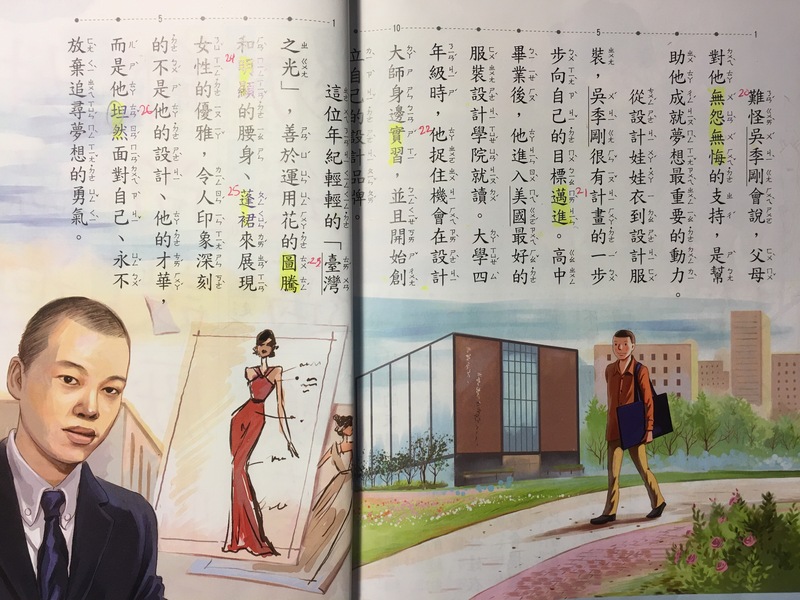 As for regular Chinese textbook study, we are back to where we left off at the end of last school year, namely 4th grade first semester textbook. Here is the chapter we are working on now. Oh, here is a picture of my dds the first day of school! I wish you all a fantastic new school year!